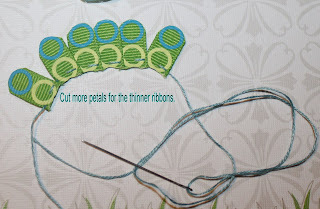 I used May Arts Ribbon XJ46 3/8" - GROSGRAIN / CIRCLE and 387-18-66 1/8" SOLID/CENTER STITCHES, the 3/8" I cut 6 @ 3/4" and rounded the edges, for the 1/8" I cut 8 @ 1/2' and cut one end into a point before sewing together. 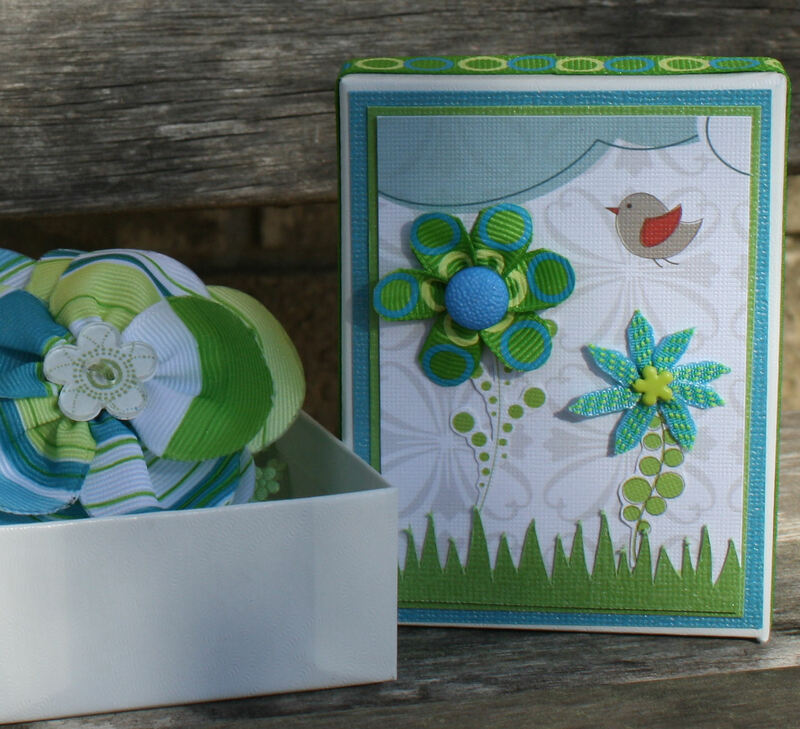 I layered two pieces of Bazzill Cardstock on top of the box, added the paper with the bird and clouds from DCWV The Green Stack cut the flower steams from the same stack, and topped them with the ribbon flowers I made. I added a button to the center of one and a brad to the other. The grass was cut with cricut. I ran May Arts XJ46 3/8" - GROSGRAIN / CIRCLES around the lid of the box. Thanks for stopping by!